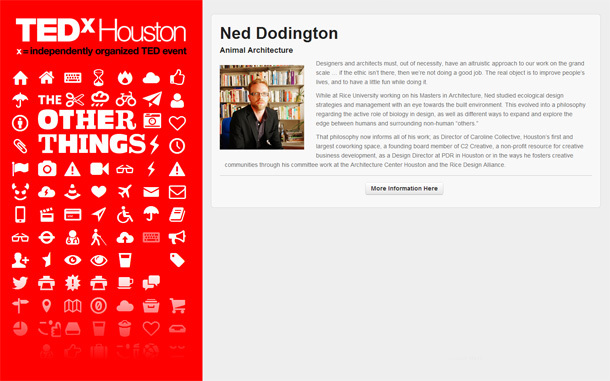 Animal Architecture founder and director Ned Dodington will be speaking this Saturday, October 12, 2013 during the TEDxHouston Event. More information about the event can be found at http://tedxhouston.com/2013/ The event will be live-streamed and also available via YouTube. A small expert of his talk is attached below. Please tune in, attend if you can, and visit the site for more information as it becomes available. The other things…I invite you to imagine a world where one species’ living habits and environment does not infringe detrimentally on the habitat of another’s. Where, in fact a habitat, a building, a home, a house, a city, can be mutually beneficial to many species. I’m interested in talking about how humans can learn to construct and tune environments to be inclusive and productive to larger ecological forces that already influence our daily lives. I’m interested in talking about Animal Architecture. 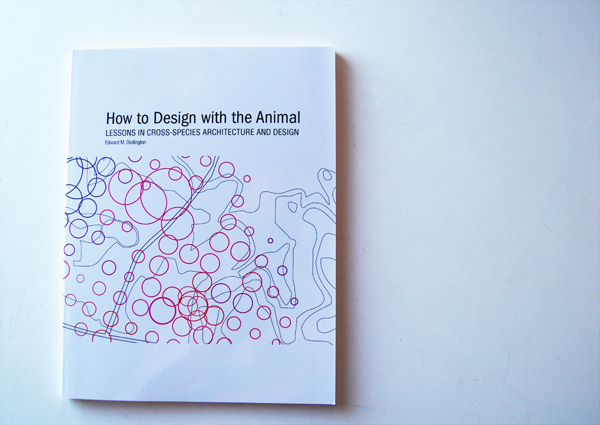 So what is Animal Architecture? In this brief talk, I’ll share a story about how a city boy fell in love with an oyster, and how that love is growing into a global movement. I’ll describe the work of Animal Architecture, some of my goals with the project and how I think that we, as humans, can pay more attention to our OTHER animal cohabitants. More information about the event can be found at http://tedxhouston.com/2013/speakers.php.